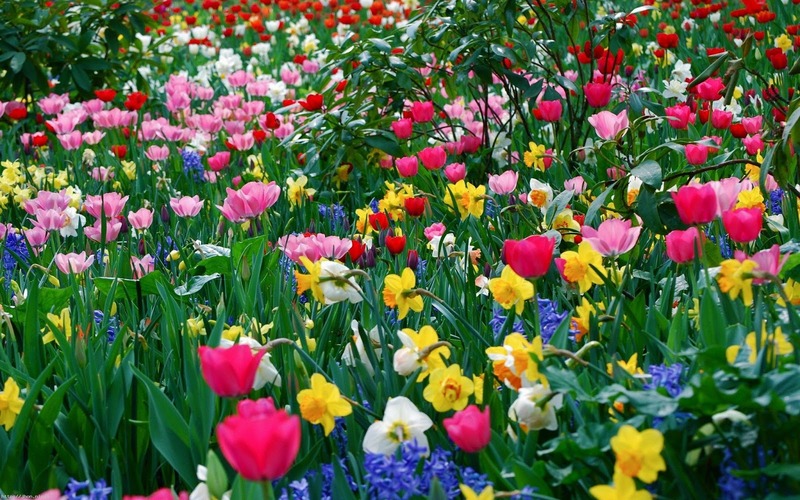 Home / $EUR / $JPY / $SPY / $USD / Will the Dollar Bloom like May Flowers after April Showers? Will the Dollar Bloom like May Flowers after April Showers? April was a cruel month for the US dollar. It fell against all the major currencies; even those whose central banks have negative yields. The greenback also fell against nearly all the emerging market currencies, but the Philippine peso and the Polish zloty. Through the first four months of the year, the dollar is lower against all the major currencies save sterling, which is off about 0.6%. Following the reluctance of the BOJ to ease policy further last week, the yen has moved back ahead of the Canadian dollar as the best performer (12% vs. 10.7%)here in 2016. Among the emerging markets, the Indian rupee (-0.3%) and the Argentine peso (-9.4%) are the only currencies that have fallen against the dollar. The best in the EM space are commodity producers, and particularly oil producers, Brazil real (+15.2%), Russian ruble (+14.7%) and Colombian peso (+11.8%). The real's rally and the outpeformance of the Bovespa is most certainly not a reflection of a strong economy with stable political institutions. The start of the new month does not mean a new trend. The technical tone of the dollar is weak. Although the US reports the April jobs data on May 6, we do not hold out much hope that even a robust report, will end the dollar's downdraft. The Federal Reserve acknowledges the continued improvement in the labor market. The problem is that it has not translated to stronger consumption, and business investment remains soft. Fed officials need more confidence that the six-month economic soft patch has ended. The early readings on April suggest a mixed start to Q2. Since Q2 15, the euro has mostly been confined to a $1.05 to $1.15 trading range. Last August it spiked to $1.1715. Assuming the $1.15 area is taken out next week, the $1.1700 area is the next technical area to look for, though the retracement of the euro's decline since mid-2014 is found a little over $1.1800. The technical indicators, which looked shaky last week, have strengthened. The euro rose every day last week snapping a three-day losing streak (April 20-April 22). The RSI is trending higher, and the MACDs are about crossing higher. Although it whipsawed in early April, the five-day average is poised to cross back above the 20-day average. At this juncture, only a break below $1.1200 would call this constructive view of the euro into question. The BOJ surprised and disappointed many investors by not easing policy despite cutting its growth and inflation forecast. Preliminary evidence warns that the world's third-largest economy likely contracted in Q1 for the second consecutive quarter. With even currency warriors now recognizing a high hurdle to intervention, there is little to prevent additional yen strength. The dollar is tested the JPY106.60 area before the weekend. It is a 38.2% replacement of the Abenomics-induced rally. Below there, many have their sights set on JPY105, which some see potential inflection point for potential BOJ intervention, and the 50% retracement target is near JPY110.60. Japanese participation will be light in the week ahead due to the Golden Week Holiday. Nearby resistance is seen in he JPY107.70-JPY108.20 area. It may require a move above JPY109.50 to stabilize the tone. The broad dollar weakness and some apparently easing of Brexit fears helped lift sterling to two-month highs near $1.4665. The technical indicators are constructive and consistent with additional near-term gains. We suspect sterling can climb toward $1.4800, barring some shock. Initial support may be near $1.45. Local elections on May 5 could show that despite the divisions within the Tory Party, Labour is not yet capitalizing on it, which means it may win fewer than average council seats. It means that should a Brexit vote create a political crisis; Labour may not be in a position to secure a majority. Rising oil prices, a stand pat Fed with diminished chances of a Canadian rate cut, and a Bank of Canada that has not objected to the strength of the Canadian dollar has seen the Loonie's gains extended. The convincing break of CAD1.2650 warns of the potential for the US dollar to fall toward CAD1.2050. Since late-January, the US dollar has closed above its 20-day moving average against the Canadian dollar twice. That moving average is at a distant CAD1.28 now. The RSI and MACDs are not making new lows as the greenback is, but the divergence does not appear to be deterring new US dollar sellers. The divergence between prices and the technical and the Australian dollar are starker than in the Canadian dollar. The underperformance of the Australian dollar against the Canadian dollar we had anticipated panned out, perhaps because he market is discounting about a 60% chance of a rate cut by the RBA in the week ahead. The RBA has said that inflation gives them scope to ease monetary policy is necessary. Many apparently saw the softer than expected Q1 CPI, coupled with the strength of the Australian dollar, as making a rate cut necessary. We are less sanguine. A steady RBA could see the Australian dollar trade higher. The $0.7670 area marks the nearby ceiling, though we are beginning to hear more talk of $0.8000 over the next several weeks. A convincing break of the $0.7500 makes the bulls re-think. The June light sweet oil futures contract rose to new highs since December. It rallied nearly 6% last week, its fourth successive weekly advance. The June contract has closed lower only two of the past ten weeks. The move above $45 has increased the talk of a move to $50 a barrel. US output has fallen for seven weeks. Market participants seem to be giving this more consideration than inventory growth. The US 10-year yield is in the middle of the 1.70%-2.0% range that marks the two-month range. The yield rose for seven consecutive sessions through April 26, poking through 1.90% for the first time in a month, but that seemed to attract investors. The June note may be carving out a large triangle pattern. The upper end comes in near 130-20 at the end of next week. The lower end is near 129-10. The technical indicators do not appear to be generating strong signals presently. We continue to warn of the fragility of the S&P 500's technical tone. We had anticipated the "W" bottom (January and February) and recognized the bullish implication when the neckline was broken in late-February. The measuring objective was near 2100. As the target was being approached, we turned more cautious. While recognizing the resilience (it was still near 2100 most of last week), we have anticipated a pullback. The sharp losses in the second half of last week generated the close before the weekend decisively below the 20-day moving average and setting up a potential crossover of the five and 20-day averages early next week. That would be the first crossover since February 19. Our initial target is in the 2020-2030 band, and a move toward 1995 would still be consistent with a normal correction.